Full Moon Bites: Would you be interested in a FREE blog tour? Would you be interested in a FREE blog tour? Who would like some free book promotion? Authors, I need your help! I need to get back in the swing of things, so I am looking for three (3) authors to give complimentary blog tours too! This is perfect if you have an upcoming book, new cover, or would just like to help get a bit more promotion for a book that's already published released book. It will help me out a lot as well. I have been out of the touring game for a while but would love to get back to it. These would be COMPLETELY FREE for you. No strings attached. Please email me if you are interested. You can see a full list of titles we have toured in the past HERE. You can also see past testimonials HERE. If you have any questions please PM me or you can check out our tour site: http://www.fmbauthorpromotions.com/ We tour all romance genres. 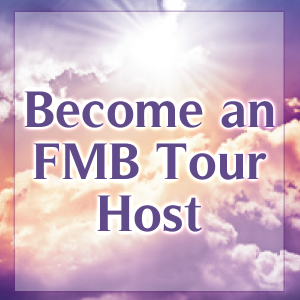 Making FMB Author Promotions for me was a big step in trying to help authors promote their books, but I also know that a lot of time and money is already put into your book. We do not, at this time, have a blog tour that is priced over $25. I want to help get the word out about your book(s), and I LOVE to read. I have learned of so many new authors by being able to promote them!